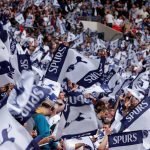 Tottenham: The Demands On Top Clubs. There are twenty clubs in the Premier League. They all play a minimum of forty games a season …. that’s assuming some clubs get knocked out of the two domestic Cups in the first round. But the reality is that the top clubs play far more games than the bottom clubs and there is a far greater demand on their playing staff. Have more domestic Cup games because they go further. Have many more games due to involvement in European competitions. Have far more members of their squad on International duty …. and depending what year it is, this could be a significant amount of games. Have far more intensive pre-season tours and competitions in order to promote their brands … which results in less opportunity for players to enjoy a healthy break from the effects of a demanding season. And yet all Premier League clubs are restricted to the same number of players in their squads. The squad numbers may be enough for clubs in the bottom half of the Premier League but is that so for clubs in the top half? The congestion of the fixture list experienced by top clubs is also far more difficult and demanding to manage for the top clubs. 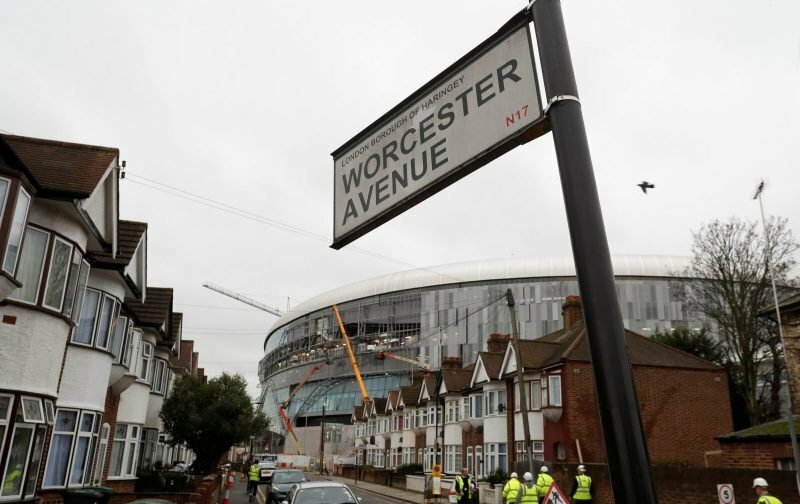 Clubs such as Spurs, City, Pool, Chelsea, Arsenal, United, and maybe one or two others, need at least two full teams within their squads to cope with the demands of the competitions they are involved in. The top six clubs would almost require three full teams to allow players to recover from injury and maintain full fitness as the season progresses. The way that the ‘powers-that-be’ in football continually look to make more money out of the game makes one wonder where it will end. It has been painfully obvious to anyone involved in the game that money dictates what happens in football. It’s very rare these days for any top club to field its best eleven players for two or three consecutive matches let alone a series of matches. The amount of games faced by clubs prevents it. It’s ironical really because one team beating another may not mean they are the better club …. just that they had more of their first eleven players available on the day. Play the same game a week later and the result could well be very different. It’s interesting to note that Leicester City won the league after being knocked out of both domestic cups early (FA Cup in the third round and after their third match in the FL Cup) and with no European football to contend with. That has to be a huge advantage to any club with decent players, a good manager, and only one competition to focus on. Some European leagues enjoy a mid-season break. The only time English clubs get a rest is during International breaks …. which does not benefit the top clubs at all. Due to the International program, domestic Cups, and European commitments, the top Premier League clubs are never able to get a clear run in the league due to the continual interruptions of everything else. Much of this is unavoidable but some re-thinking of International friendlies and competitions could ease the problem …. maybe. So how can the game of football be structured in such a way that the top clubs are not disadvantaged by their own success? One way would be to restructure English football so that there are five divisions, each of which would have fewer clubs participating and which would confine promotions and relegations to two clubs instead of three. Another way would be to increase the size of the squad Premier League clubs are allowed to use. I’m not sure what either of these options would mean for the economics of each club. Anyway, it’s just a thought and I’m sure there will be many more from VS members. Stop the loan charade altogether or severely limit the number of players that can be loaned out. This system has never made any sense to me. Both Chelsea and Leicester have won the league while not playing in Europe. Part of the problem is that there seems to be a reluctance in football to accept the information the the sports science everyone has access to now is telling them. Up until this season Poch has always strenuously denied his players were ever tired, even when it was obvious from the performance on the pitch that they were. That seems to be changing from his recent comments. Tiredness can of course be mental as well as physical. In a league as competitive as ours a drop of a few percent in a team’s level can be the difference between winning and losing. The reality is if a successful club tries to put out its best team for every game it will finish the season with all its best players performing well below par. Really you have to use the squad you’ve got. Try and pick a team good enough to win the game you are playing rather than your best eleven. Prioritise which are your most important matches, don’t pretend every game is equal. If a club can breed a winning mentality it will obviously help, the ability to grind out a result when you aren’t playing well is vital. In the end most seasons the top teams in England are in a similar position, those not in the Champions League end up in the Europa and play a similar number of games. The real difference is with European teams. We will play Dortmund when they have had a three week winter break to rest and recover while we’ve been playing twice a week. Don’t be surprised if they are in much better shape than we are. jod …. Good point about the Dortmund match. I’m not sure of what the answers are to this Geof. But I don’t believe that the more successful clubs should be given more advantages than the lower league clubs who are disproportionately so disadvantaged already. And I feel that having yet another division would just make it all the more difficult for the lower placed clubs to progress. The thing is that the more and more money that goes into the game the more its expected that clubs and players should give in return. Meaning more matches in more widespread preseason tournaments, International competitions and so, even less rest for the highly paid wicked…. So, do we lose the League Cup? The FA Cup? I don’t know. I do think that many managers and clubs would prefer smaller squads to work with rather than even bigger ones. And the more players to accommodate and keep happy the greater the task. All players want to play as often as they can… And as has been mentioned, the wealthier clubs end up stockpiling players and loaning a load of them out anyway… Chelsea and Man City for example have a ton of these young, loaned out players. So, even after thinking it through, I’m still short on answers. HT …. I don’t think we could ever lose the FA Cup, it’s locked into the DNA of English football …. but the League Cup, not so much. I suppose reducing the number of teams would also allow clubs to operate with smaller squads and allow for a mid-season break. A footballer’s life is a relatively short one so I guess they need to play as much as they can and earn as much as they can. But, as you say, it’s all swings and roundabouts. I don’t know how this works or if it is at all possible now… But I’m sure that clubs do have the option to drop out of the FA and League cups. I seem to recall that Man U opted out of the FA cup one season under Fergie, many moons ago. I think I remember that and you’re right, it didn’t go down well at the time. One way the clubs could help themselves would be to cut down on the summer tours and give the players more time to recover. Of course that would have revenue implications, but what if it won you a title ? As has been written on here, there are a few neat and tidy answer’s, but which one would work, because in general I/we have no idea. Geof… a good article. IMO It would be a combination of fewer clubs in PL say 18, and slightly more in Championship and 1 &2. Thereby giving non league clubs players who are semi pro anyway a chance to play in the pro leagues. A Christmas break would extend the league playing time by 2 weeks. Not much but delay the touring / promotions, as part of the mega tv deal packages and the individual top clubs to get some pre season training in for new players. A difficult decision for all clubs and the FA / PL hierarchy. Accepting that we are limited in the number of players we can register, we have to make the most out of the squad places we have, by building squad full of capable AND available players. This is exactly one of the reasons why I am harsh on Lamela. I rate him as a player as much as the next person, but putting emotions aside, I can’t help but feel that he simply isn’t available enough to warrant a squad place. If his fitness was better, he’d be well worthy of a place. But he’s injured so much that I think we’d be better helped with players who can feature more, even if they are slightly less talented. Sissoko, for example, is no world beater (even at his current, improved levels) but he has been available for MP and that has helped us. I think that’s something we as a club could do. Maximise our squad potential, based on the constraints we face.